The Best of Teacher Entrepreneurs II: Classroom Management - "Bright Colorful Classroom Decor Bundle"
Classroom Management - "Bright Colorful Classroom Decor Bundle"
I'm super excited to announce the release of my latest classroom decor set!! Owl themed and bright, what more could a girl ask for!!! 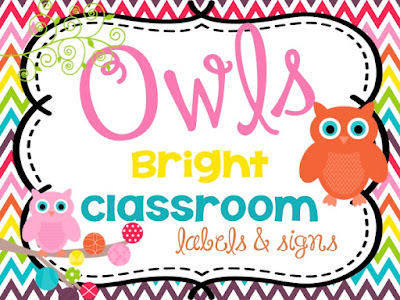 With over 100 pages of signs, posters and labels, you'll be sure to start the year off bright! Be sure to check out some other great classroom decor coming out this summer to prep you for your school year!